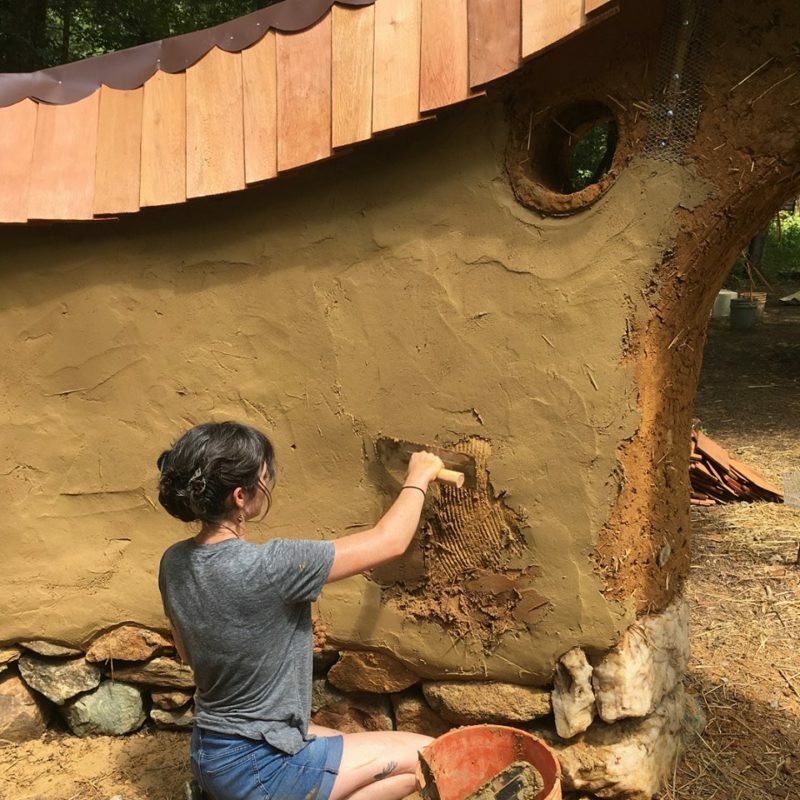 This 5 day course will involve constructing a cob dwelling and introduce you to the basics of natural building. 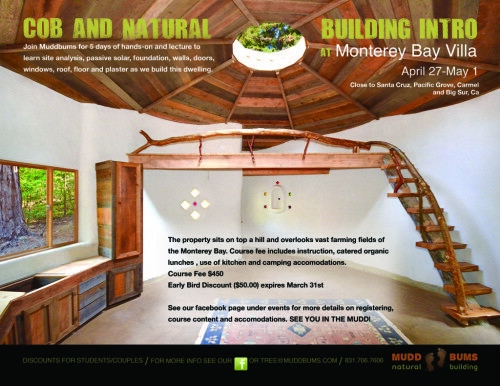 You will learn about clay, sand and straw, the building blocks that make up cob. 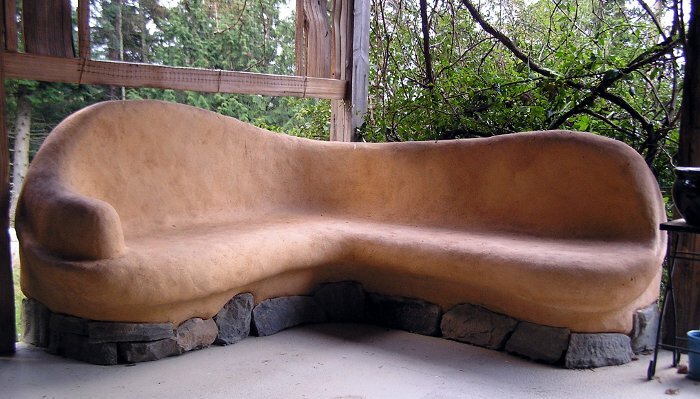 Discussion topics include: site analysis, passive solar design, roof option, earthen floor and natural plasters. 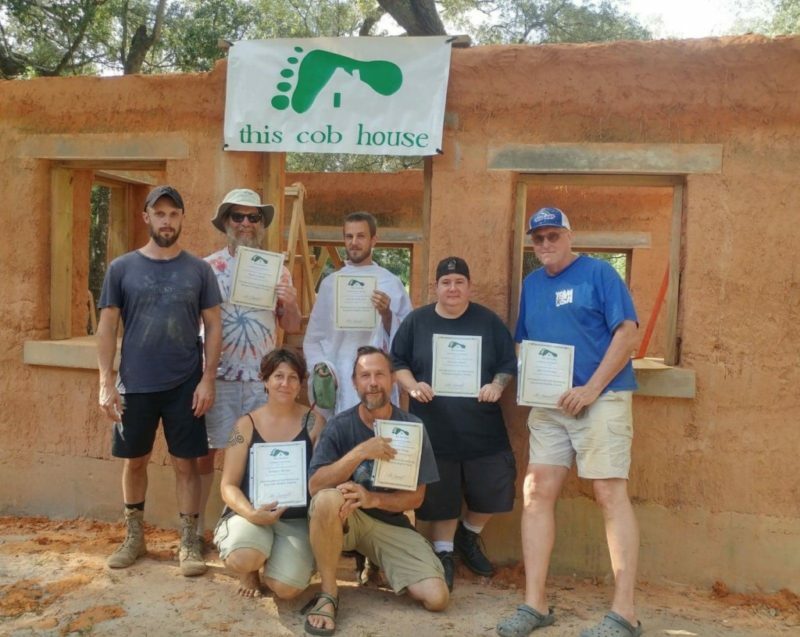 This course is mainly hands on and we will be laying the foundation, building the cob walls and installing door and windows during the 5 days. Monterey Bay Villa sits atop a hill with vast farming fields in Salinas California. Santa Cruz, Pacific Grove, Carmel and Big Sur are within an hours drive too site see and venture into the Central Coastline. Students with have full access to a kitchen, bath and camping accomodations on the land are complimentary. Organic lunches included in the course fee served daily.